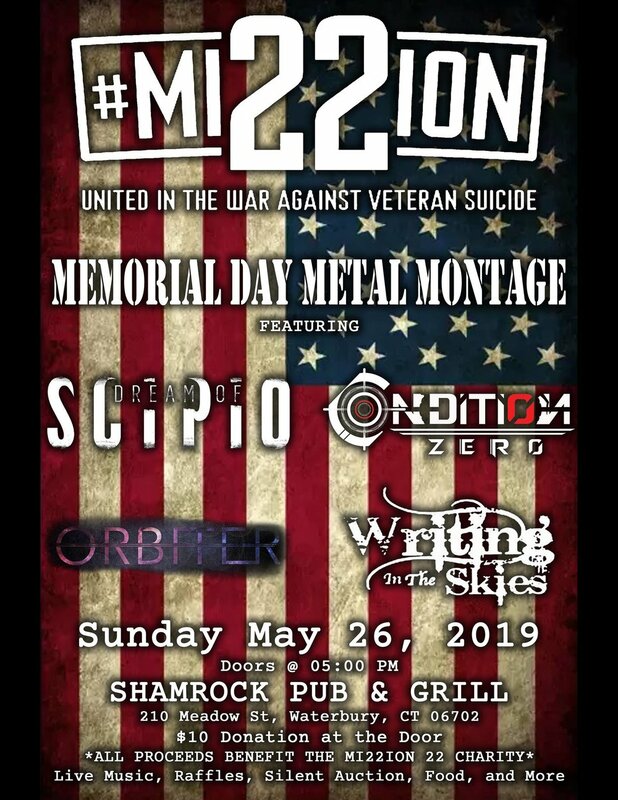 "Mission 22 is a non-profit who combats the ever-rising veteran suicide rate. Every day, more than twenty veterans are lost to suicide. Mission 22 wants to bring that number to zero. It does this with three main programs; veteran treatment programs, memorials and national awareness. Mission 22 provides treatment programs to veterans for Post-Traumatic Stress, Traumatic Brain Injury and other issues they might be facing. It organizes events and builds memorials to create social impact and awareness for these issues. Mission 22 also has an Ambassador volunteer program for people to get involved as well. Ambassadors educate the public on veteran issues, help get veterans into Mission 22 treatment programs and create resources in their communities. Through these three programs, it enables a push for the betterment of our nation's heroes and stands united in the war against veteran suicide." Raffles, Live Music, Vendors, Silent Auction, Food, and much more!! !